Trompe L'Oeil, Murals, Blok Wall Window.
" Stone Block Window "
Click here to view installed mural "Giclée" at a client's home. 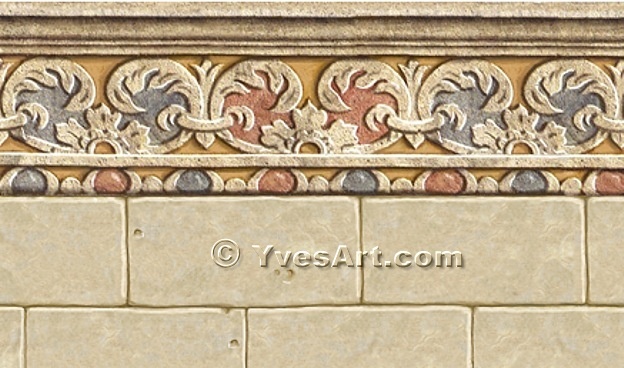 You can order additional stone block wall with or without border at the top to go with any of our windows trompe l'oeil. Please call Tel: (321) 257-9294 or email us. 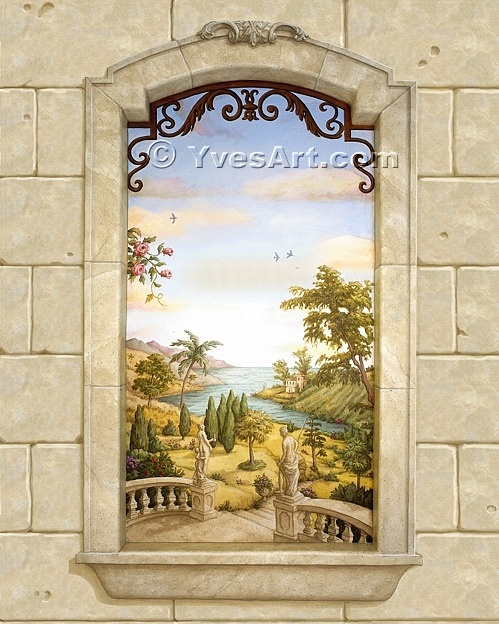 We can also place any of our trompe l'oeil window with the block wall plain or with borders. Close-up Detail of a block wall border.